There are only a few days left of National Craft Month. We hope you’ve enjoyed viewing a new craft and giveaway each day this month! I know we’ve all had a great time sharing these fun projects and prizes with you. Before our month of crafty fun comes to a close, let’s check out a few more ideas. Today, our friends at Plaid have shared a special home decor craft with us. The Martha Stewart Arabesque Home Accents collection can help you imprint lovely, geometric designs on things such lamp shades and pillows. Customize the looks to match your home decor. With bright colors, lively shapes and your creative mind, there’s no telling what kinds of amazing things you’ll end up with! As I mentioned before, to go along with this craft idea, we’re offering a special giveaway. All you have to do is answer the question found at the bottom of this post. Leave a comment in the comment section below and you’re automatically entered to win. It’s that simple! So, without further ado, let’s explore this cool project! 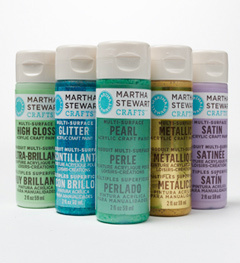 When you combine your creativity and these Martha Stewart craft materials, anything is possible! 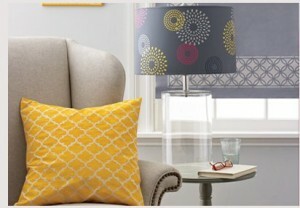 Choose your favorite pastel color and give a dark set pillow a bright geometric design to really liven up your couch. Or, choose an assortment of colored paints and give that old lamp shade a much need upgrade so the family room becomes your favorite spot in the house. Once you see how easy it is to use these awesome stencils and paints, you’ll be ready to transform your living space. Note: Mix fabric medium with your paint before painting pillows, curtains, or other fabric accessories. 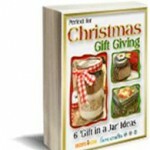 Contest closes March 28, 2012 at 11:59p CST. What craft do you have in your home that always gets noticed? Is it something you created yourself or something you picked up at a craft show? What kind of feedback do you receive from it? My instant coffee painting of a desert landscape is the newest item people are noticing. What a fun medium to use! The craft in my home which is most-commented on is a basket made many years ago by my grandmother. Most people comment on the fine detailing in the pattern. My favorite craft was given to me by a friend. Its a bundle of branches. I change out the flowers in it every season or special holiday, It hangs over a mirrow. Usually my jewelry pieces that I make. But I rag rolled my kitchen and craft room walls and get a lot of compliments on them! Some cross stitch pictures that my Husband’s grandmother made. The quilts my mom and grandma gave to me. I treasure them and everyone loves them. A dresser that I painted & changed the pulls to decorative glass colored knobs. so many crafted things mostly from other crafters from afghans to birds nests, glass tiles, pillows, pottery…. a quilt hanging made by a friend, everyone admires the quality, the design repetition and colors. My family and friends always comment on the various cards I’ve made. I try to make the card specifically for THAT person! I made a cat condo from two old hexagon end tables! First seen and most noticed is the framed magnetic bulletin board I made. Second, the granny square afghan on my couch that just begs to be used! My husband loves Dr. Who so for his birthday I crocheted him a Dalek. He thought it was really neat! It was once of the most challenging projects I have made so far. I have only been crocheting for about 2-3 years now, self taught using books and the internet. I crocheted a set of doilies for the tables in the living room that get noticed. Most tell me they could not do it. The quilts I’ve made always get noticed and everyone loves them! I caned an old bed and am always getting compliments! I have an afghan I made that gets noticed. The crazy quilt pillow I made for my late MIL. I transfered photos of her kids when they were young on it. And it is heavily embelished with embroidery and buttons. The most noticed craft is before get to the front door – it’s on the porch – the matching stenciled benches on either side of the front door – and a large old-fashioned tool carrier that is also stenciled to match. My mother and father made these. 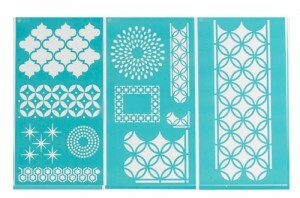 So, would love to win and make something stenciled in fabrics. We have a picture hanging in our house that people can not get over it is spray painted. By looking at this picture a person would believe that someone painted it with a brush but alas it was painted with spray paint. It was commissioned out but it is great!! We really enjoy it. The man that painted it is really talented. The Gourd Art pieces which I have finished and which are sitting around the house. I have curtains and valance that I crocheted in my kitchen. Crocheted tablecloth on my dining-room table. Crocheted pillow covers on couches. A crocheted afghan on the back of my rocking chair.Crocheted runners on my coffee table and end tables. Crafted or crochet wreath or wall hangings on my entrance door according to season/ holiday even my tissue boxes have crocheted covers according to seasons/holidays. I love crocheting( filet and lacy designs) for decor and knitting for clothing. Some crochet designs are o.k for clothing, but knitting has a softer feel for wearing. Crochet works are quicker to complete for me anyways. Relatives and visitors always say “Where did you get this from ?” When I tell them I made it they say they wish they themselves had that kind of talent and wish they could do this. I tell them if you buy the materials I’d be glad to make them for you, I just can’t afford to buy all the yarn or thread to make the items. I made two pillows for my bed using vintage handkerchiefs that had a little damage on them. 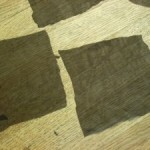 I cut a piece of material two inches bigger than my pillow form and attached two handkerchiefs diagonally across the material. I sewed a piece of open lace along the diagonal and then ran ribbon through the lace to cover the diagonal seam of the two handkerchiefs. I cut another piece of material for the pillow back, sewed the sides up and inserted the pillow form. Some family and friends don’t think that I made them. They say they never thought I was that talented. I always explain my organizer on my wall. I created an angler fish sculpture out of brightly colored plastic silverware. He looks so fearsome that he always gets noticed and then guests do a double take when they realize he has spoons for scales, knives for fins, and forks for teeth!